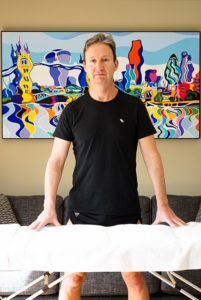 Jamie only sees clients with Colin working with him giving 4 hands massage to men, women and couples. Jamie is also available to be your volunteer receiver in a sensual massage workshop. Hello, my name is Jamie and I am British from London. I am 43 years old and I live and work in the city. I like to keep fit by practicing yoga and doing martial arts. 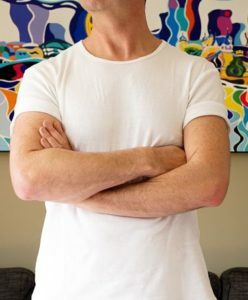 I use my experience of these disciplines to bring strength and precision to my massage so that I can create for you an intense yet calming and highly sensual and intimate experience. I also include body to body techniques and mix in light strokes to tailor your massage to your preferences. I give sensual massage on a part time basis so it is best to book your 4 hands in advance although sometimes I can give last minute appointments. I love to bring a deep sensuality and intimacy to your massage experience. I am bi sexual. By prior arrangement, we do sometimes see clients at either at their home or a hotel, subject to additional travel and time costs. Please ask for a quote.